Today’s product managers monitor many KPIs and keep numbers and charts front and center, but all this monitoring doesn’t inherently mean a better product and less churn. They still have to make data-driven decisions that will retain users and drive revenue growth. That calls for an understanding of what causes users to engage, what causes them to churn, and how user behavior directly impacts business outcomes. That’s what will underpin effective decisions to keep users paying their subscriptions. Churn is a cumulative burden. 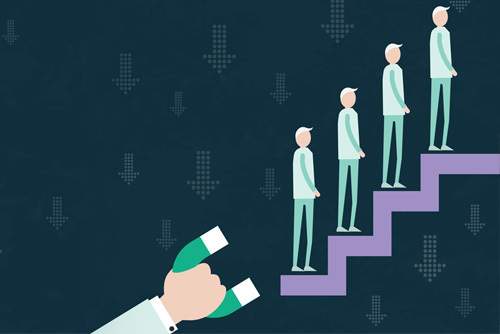 As a company grows, an unresolved churn rate will take a proportionate bite out of annual revenue, upsell opportunities and potential for new business through referrals from those lost users. In fact, a SaaS company with a 95% customer retention rate can have a valuation that’s more than twice as much as a company with just 80% customer retention after 5 years. Why might that be? If those two companies each acquire 10 new customers per month, for a total of 600 customers, and maintain their respective churn rates for five years, the 95% company will have only lost 30 customers over that time period. Meanwhile, the 80% company will have lost 120 customers. You can never start too soon to address retention issues. Dedicated product managers will make that a high priority. But they need to take several steps to keep on top of the issue, beginning with studying users’ behavior. That’s what the rest of this guide will address. Step One: Unify Your Data. All of it. Product managers are no strangers to tracking usage data for their products. That’s table stakes for monitoring how effectively your product addresses users’ needs and keeps them in their subscriptions. The problem isn’t a lack of tools to track usage; it’s that the data is spread across multiple platforms. Across different sources of data – mobile analytics, web analytics, usage, acquisition — nothing matches. Each platform gives a different set of data. Fragmented among several different platforms, it’s impossible to formulate a picture of the entire customer journey. That causes confusion among and between teams, and keeps the conversation focused on the accuracy and consistency of the data instead of analysis and strategic decision making. Fragmented data dulls the ability to verify the impact any one decision has on user engagement, prevents product managers from drawing correlations with churn, and wastes their potential for richer collaboration with other teams. Outside of product usage, there are other kinds of data that could be useful for product managers. If they’re ever to understand fully what causes users to churn, they need to account for data created before the user becomes a user; the platform where they saw an ad, their profession, etc. Let’s say a user clicks on an ad on AdWords, signs up for an account, and uses it for a month before churning. By unifying the AdWords data with usage data, Marketing will know that the newly acquired user who came from that AdWords campaign then churned. That could reveal that a certain keyword is generating a lot of sign-ups, but is failing to generate satisfied users. Such a discovery would raise speculation about a disconnect between the expectation set by the ad, the landing page connected to that ad, and the experience users have with the product. The type of data Marketing gets from advertising campaigns on different social media platforms differs across those platforms. In its native form, you can’t compare Google Analytics’ website traffic against MailChimp’ email open rates against Facebook Ads’ performance. It isn’t feasible for Marketing to unify that data manually, yet doing so brings marketers closer to understanding the efficacy of their advertising, and giving richer context to the product’s usage data. Yet today, acquisition data from Marketing and usage data from Product exist in multiple data sets, each representing a variation of the truth about users. Without merging all the data from analytics platforms and professional disciplines, it’s impossible to pinpoint the users who, for example, respond to specific ad campaigns and end up churning two months later. Without that functionality, Product and Marketing teams can’t discuss the real-world effects they’re having on individual users or segments of users in an actionable way. Without unifying that data around each user, you can’t make sense out of it. Product managers need a platform that not only unifies multiple data sources, but offers built-in functionality for drawing correlations between acquisition channels and product experiences, and their impact on retention. Data warehouses are widely available, but most lack functionality to persistently assign each data point from every channel and campaign to its respective user ID. We call this the Cooladata User ID (CUID). That in turn allows for more meaningful visualization, analysis and conclusions. The CUID allows product managers to organize and track all of a user’s interactions with their product for a clearer picture of the user lifecycle. How does that happen? We have premade integrations with AdWords, Facebook Ads, all the main channels. We also have an open API, so you could connect any data sources you have. You can pass any information you want. In doing so, users’ actions -or lack of actions- that precede churn become clear, bringing product managers closer to predicting and preventing it. It begins with a subtle shift away from demographics, toward behavior. Your behaviors says more about you than your age, location, or other demographics. What you do defines who you are. For example, a 20-year-old female backpacker from New Zealand might exhibit behavioral traits that are more similar to a 44-year-old male backpacker from the U.S. than to another 20-something female in New Zealand who doesn’t backpack. This, despite the fact that the two backpackers are of different genders, life stages, and geographies. That’s where it becomes possible to understand each user’s experience; through the lens of their behavior. Behavioral segmentation allows for product decisions that are more relevant to individual users. That’s why product managers must move beyond segmentation based on traditional demographics. Behavioral analysis begins by tracking the entire user journey in the form of events: from acquisition to conversion to usage. For the purposes of this paper, we’ll segment users by one finite behavior: churn. Let’s think of that final event in terms of the finishing line at a marathon. What do the finishers have in common? We segment the group by their final common accomplishment, then look back on the preceding behaviors: whether they joined a running club, when they joined, and their attendance in the months leading up to the event. The farther we look back, the more possible paths emerge. Each path is a viable means to study how to get to the marathon’s finishing line. In the context of a product, a Last Event analysis helps to isolate what may have triggered the end of a session, and allow for the investigation of questions such as: what proportion of users ended their session after completing a level, losing a game, encountering an error message, or spent an above-average amount of time on an introductory task? Asking these questions opens up an analysis of product-design decisions. The trick is doing this efficiently at scale. There are so many different paths and so many different actions that users can take in a product. Without a data warehouse optimized for behavioral analysis, it’s close to impossible to segment and analyze users based on their behavior. It takes a lot of time to prepare data for this kind of analysis. Every suspicion that a group of users may churn would require checking the correlation of every variable with the outcome under analysis. This is why traditional analytics are so poor at finding correlations. Without native behavioral analysis, product managers are forced to cobble together a workaround or use SQL, which is not designed for behavioral analysis. This is why product managers have historically been constrained to a reactive approach to churn. They could only learn about churn once users left the product. Better to use a platform that will automatically reverse engineer a path analysis report, as described above. That will reveal ‘at-risk’ users much more quickly. Once you have all the user behavior unified from any format — structured, semi-structured, and so forth — in one platform, you can export it all to R or Python for analysis of correlations between behavior and outcomes. The output of this predictive modeling yields the basis of an engagement score. The lower the user’s engagement, the more likely he or she is to churn. By defining users’ engagement scores with the behavioral patterns that precede churn, product managers can segment users who churned recently and analyze for more nuanced warnings of churn. The results of that analysis help refine how to score user engagement, and allows for smarter segmentation of users with similar scores. For the purposes of this paper, we’ll use a simple dichotomy; an ‘at-risk’ segment, and an ‘engaged’ segment. This allows for a closer look at the at-risk group’s usage and acquisition history. The catch to segmenting users by their engagement score is that users’ engagement is always changing. Product managers can’t afford to wait on a data analytics team to segment users by their engagement score on a weekly or daily basis. Product managers need on-demand custom reporting to understand with as little effort and time as possible what behavior correlates with different outcomes. Access to real-time insights supports the creation and analysis of segments based on engagement score, as well as testing re-engagement strategies. It unlocks the ability to get insights at any time, without having to rely on anybody else. We believe SQL queries take too much time, acting like a wedge between product managers and their data. The easier it is for them to query data, the more likely product managers are to ask the questions that lead to the insights they need to make better decisions. Insights such as which re-engagement strategies are most effective, the heart of this guide. Once you’ve applied an engagement score to your users and segmented them into ‘engaged’ and ‘at-risk,’ you want to find the most effective strategies for improving each user’s engagement. Measuring how users migrate from one segment to the other -indicated by their rising engagement score- will quickly reveal which re-engagement strategies are best for your user base. Let’s take as a three-way comparison between the efficacy of customer service calls against an email marketing campaign against a remarketing campaign over a five-week period. We would create three cohorts, one for each re-engagement strategy, and then see what percentage of ‘at-risk’ users migrate over to the ‘engaged’ segment. In such an analysis, it’d ideal to be able to drill down into any cell on that table to investigate the user behaviors behind the winning strategies, and the effect time has on the results. If you were curious about, for example, which users re-engaged thanks to the email campaign, you could save those users as a distinct segment and follow them over time. If they re-engage only temporarily – if the email was really effective at getting them back on board for a month, but then they fell back into the at-risk segment – you can keep an eye on that group and try other re-engagement strategies. With a visual query builder, it’s easy to find the percentage of users who migrated from the at-risk segment to the engaged segment. Automate that query to produce a weekly report, and you can track that change over time and isolate the most effective re-engagement strategies with hard data. The reality is that churn isn’t a black-or-white issue. There’s attrition; an indication that a user is at growing risk of churning. That’s where an engagement-scoring system will show you the attrition that leads to churn. That scoring system would be an algorithm based on the user behavior across all the different data sources. Doing this in R or Python is extremely easy. Most of the work is in preparing the data for analysis, something that your data warehouse should perform automatically. Once you’ve defined that score, you can create an alert to notify you when users are at risk of churning, and you can take the optimal re-engagement strategy. Those alerts allow product managers to proactively engage with users whose behavior indicates they’re at risk of churning. Reducing churn will be a never-ending battle. However, if product managers incorporate data from their users’ behavior directly into their development roadmap, they can still come out ahead. It begins with the unification of fragmented data. As long as your data is scattered across a myriad of sources, you’ll have to juggle multiple sources of truth. Just having the data in one place won’t suffice. You have to tease out the meaning obscured by the large volume of data points. Define your users’ behavior, and you’ll begin to clarify your understanding of what makes them behave as they do. By drilling into your users’ behavior, you’ll begin to tell engaged users apart from those who are at risk of churning. Some will leave. Study their final paths to departure, and you will unlock the most reasonable plans to re-engage. Test your re-engagement strategies across cohorts and time. With a flexible data warehouse, you’ll be able to drill down for granular insights that will add up to meaningful change to your product and your users’ experience. It’s a lot of work and worth every bit. Every change that you make to your users’ experience and re-engagement strategy will mean another fraction of percent shaved off of your churn rate. The better you can aggregate your users’ data and study their behavior, the better control you’ll get over your churn rate. * Product teams use Cooladata to improve user engagement, retention and monetization. * Marketing teams use Cooladata to unify all their data in one platform so they can truly understand the entire customer journey, increase conversions and ROI. * Data teams use Cooladata to perform ad-hoc analysis of their data, and answer complex questions in seconds without writing long SQL queries. For data teams considering building their own data warehouse for behavioral analysis, Cooladata gives you a solution as powerful and flexible, but at a fraction of the cost.